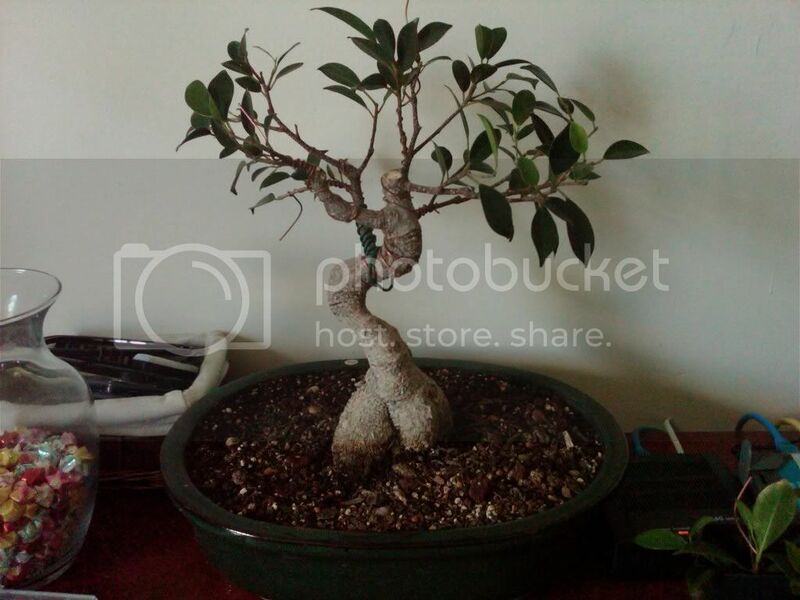 I posted my ficus bonsai on other posts. 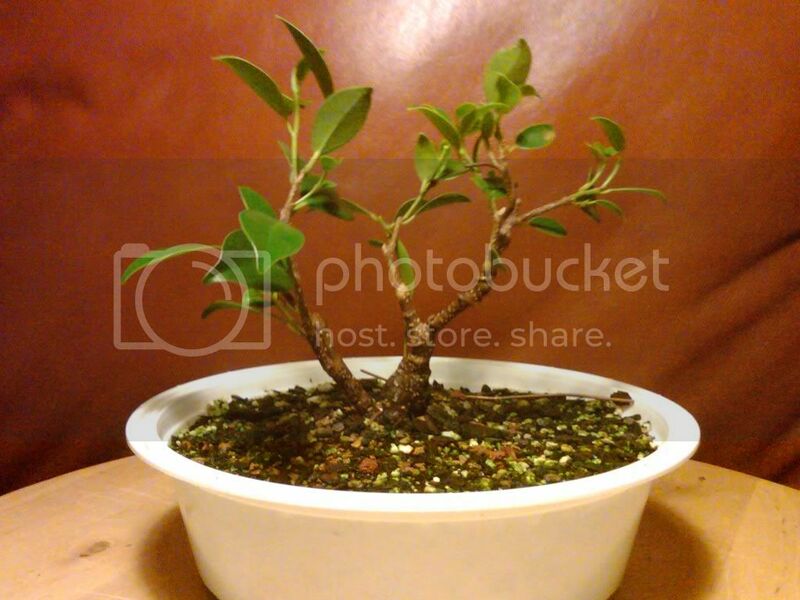 Here is the mother plant and the new tree. I hated the stem up top that's too thick with bad taper and thought it will make a good Shohin by itself. Air layered it couple months ago. After roots formed, layer is severed from the mother. Much better overall balance. And, I agree, I can't stand those "dragon trunks". Nothing screams, "poorly executed mallsai" like a dragon trunk. Now comes the hard part, waiting for it to grow. 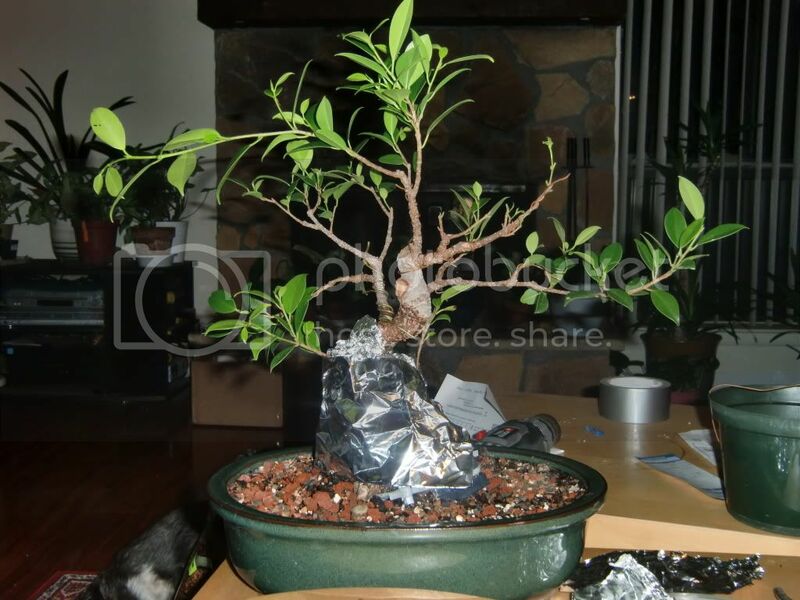 Although, in honesty, if it's ultimately going in a smaller (mame, ~2-3") pot, I might actually consider just development of nebari and ramification/leaf reduction. I'm thinking more like a 6" pot. The current round training plastic ware is about 8" in diameter. 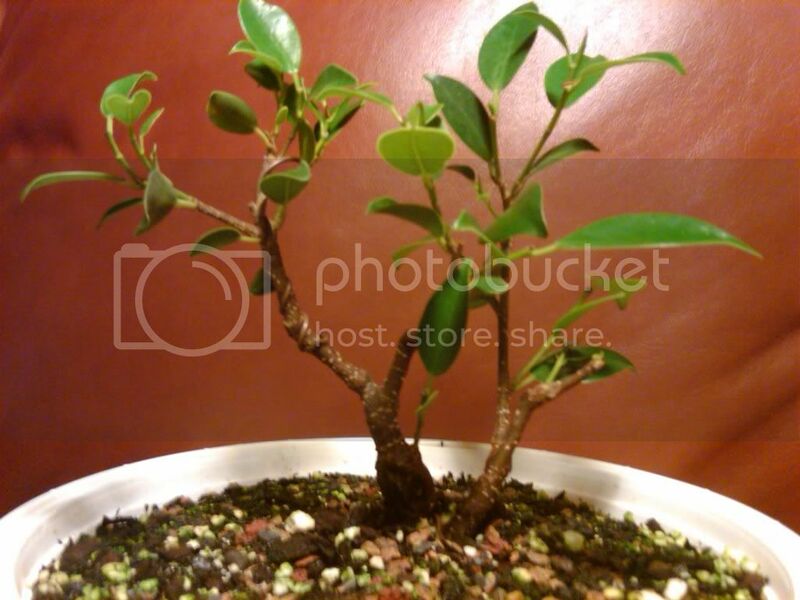 I like it because it's shallow so as to reduce downward roots. 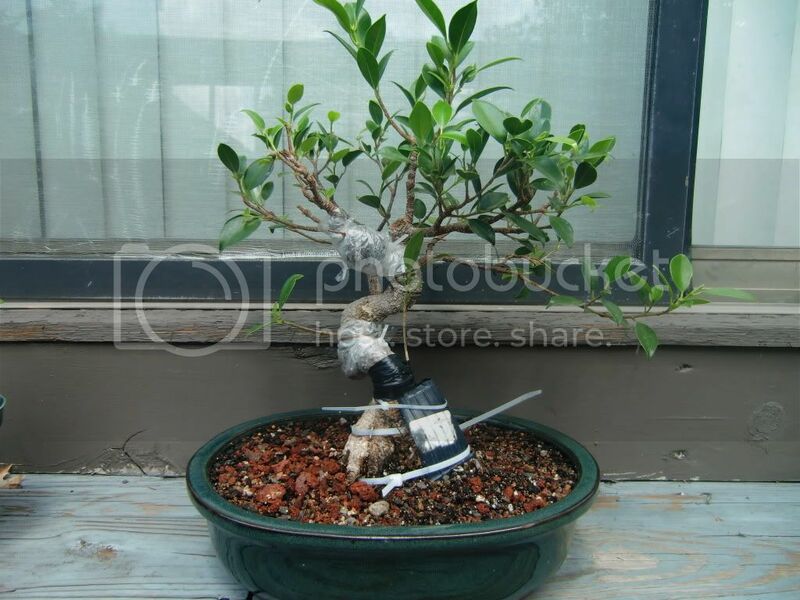 I have even put a piece of flat stone under the nebari to help roots spread sideways. To add to the mallsai statement, I picked this stem to layer also because the mother has a rear facing stem that grows at the same height on opposite side of the trunk creating a "cross" look when viewed from the side which is not good in bonsai terms. kdodds wrote: Much better overall balance. And, I agree, I can't stand those "dragon trunks". Nothing screams, "poorly executed mallsai" like a dragon trunk. Now comes the hard part, waiting for it to grow. 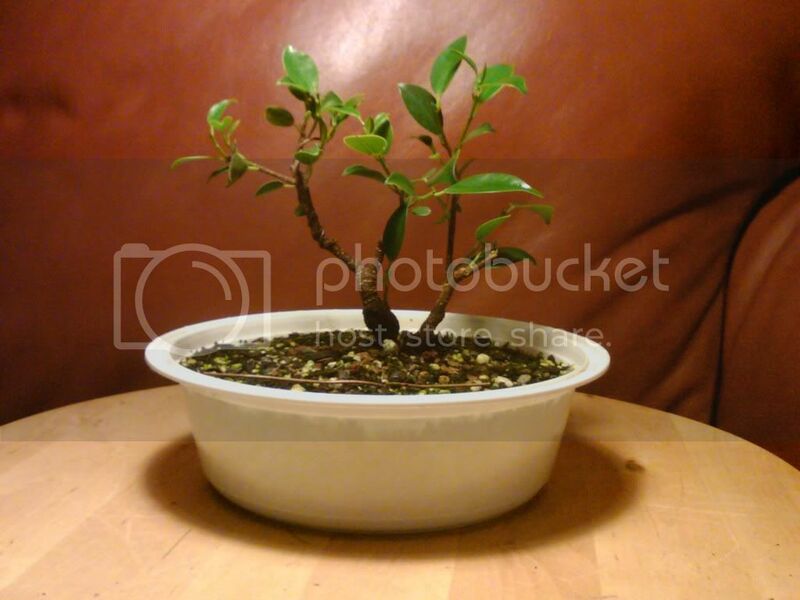 Although, in honesty, if it's ultimately going in a smaller (mame, ~2-3") pot, I might actually consider just development of nebari and ramification/leaf reduction.